Proposed: A Harp “Blue Book”: Please Join the Discussion! For Sale: But for how much? As a professional harp technician, this is the question I dread the most. Why? Because there is so little information available on what harps actually sell for on the used market. 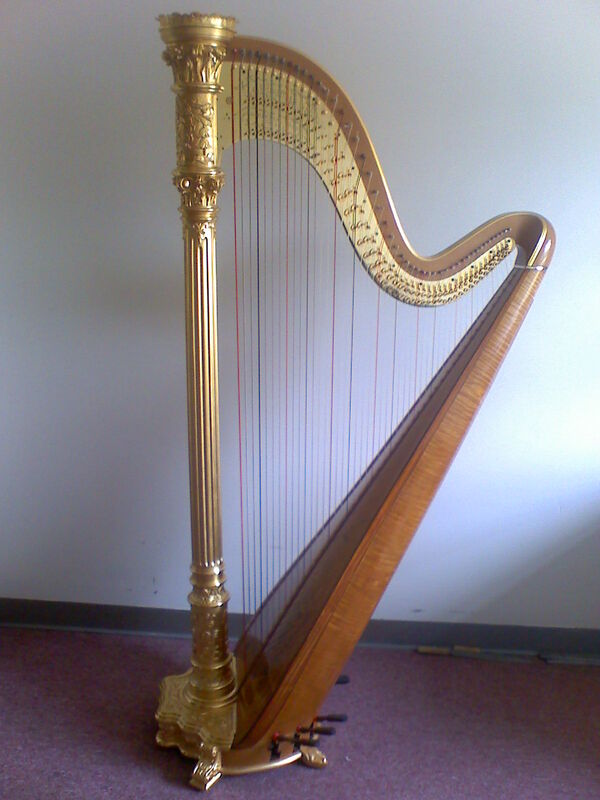 When someone asks me or another technician for an appraisal of an instrument, we can give detailed information on its condition and what repairs it needs, but when it comes to market value, the best we can do is make an educated guess based on a few harp sales we’ve heard about and a search of current asking prices for harps on the market. In other industries where market value appraisals are performed, such as the real estate and used car markets, there are resources, such as the MLS and the “Blue Book” which help in determining the value of a particular item. When a real estate appraiser completes an appraisal, he or she provides documented evidence of prior sales of comparable homes. The piano industry, which I’ve also worked in, has its own version of the Blue Book, which is updated annually. The harp world needs a similar resource. We are of course too small of an industry to support a published blue book, and the sale of real estate leaves much more of a paper trail. What I propose is a Web-based database to track the actual selling price of harps across North America, and possibly worldwide. The site I have in mind would allow anyone to view a list of the selling prices of harps by model, and the date of sale. Optionally, additional information could be included, such as harp serial numbers, location, etc. Individuals or businesses who sell harps would have a way of submitting these details on a sale, and controlling what relevant information was published. I envision this as a free service available to anyone, both harpists and technicians. It would benefit technicians in providing data that would help us provide more substantive appraisals. It would help harpists get a ball park idea of a harp’s current market value if they are considering selling. Such a site would possibly also provide harp-related advertising as a way of supporting the cost of maintaining the site, and possibly compensating the Webmaster for time spent. I am willing to spearhead, fund, and run this project, act as Webmaster, chief cook and bottle washer, etc. What I’m asking you for right now is your ideas. My first question, of course, is whether you personally feel this service is needed (although if you don’t now, believe me you will if and when you try to sell your harp!). Secondly, a huge question is how to see that the information provided is accurate and honest. I’ve had the idea of doing something like this for years, but this has been the big sticking point for me. Many community driven resources on the Internet are run on the honor system, and my understanding is that the vast majority of contributors to sites like Wikipedia or Amazon.com are honest and legitimate, but there is always the potential for abuse. A harp dealer, for instance, with an interest in keeping harp prices high, could conceivably feed the site inflated or false data, thus ruining the site’s credibility. What are your thoughts? Could a resource like this run on the honor system, given that we as a community are a fairly honest, close-knit bunch? Alternatively, would there be a way to provide supporting details, such as some kind of official sales contract, without forcing people to disclose too much personal information online? I could really use feedback on ts proposal. I think this could be an invaluable resource for our community. But I want to do it right. I encourage you to comment below, so that your thoughts are visible to others. If you would prefer to contact me privately, you can reach me at steve@mossharpservice.com.